Emirates remains the most positively perceived brand in the UAE for 2017, according to YouGov's released brand health rankings. 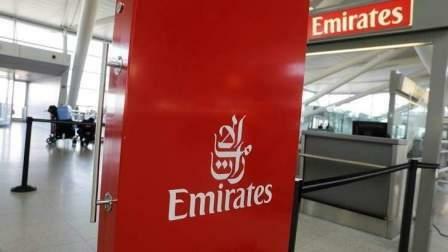 The home-grown international airline and lifestyle favourite brand, Emirates is leading the top 10 healthiest brands with the highest Index score. Behind Emirates, digital powerhouses feature heavily in the UAE's top 10, six of which also secure top 10 rankings globally. WhatsApp (2), Google (3), Facebook (5), YouTube (6), Apple iPhone (8) and Samsung (9) all share their global dominance among UAE consumers. Tech favourite Apple (7) also ranks highly. Making a stand against the global favourites is supermarket giant Carrefour (4), whilst the largest vertically integrated dairy producer in the Middle East, Almarai (10) rounds up the first ever UAE brand health rankings. Scott Booth, YouGov's Head of Data Products in MENA commented: "The UAE is among the savviest markets in the world when it comes to mobile and online technology, so it is no surprise to see Google, Facebook, Apple, Samsung and related brands reach the top 10 list for Brand Health. On the other hand, we can see that Emirates, Carrefour and Almarai, long dominant in their respective sectors, have achieved levels of differentiation, ubiquity and consumer perception that set them apart from their direct competition." YouGov has also released a list of the brands with the most improved brand health in the UAE over the past year. Apple iPhone (1) has witnessed the biggest improvement among consumers, followed by the region's first cultural, entertainment, family and shopping destination Global Village (2). A real mix of brands make up the rest of the top 10 including noted progress for photo sharing site Instagram (5). Food and Beverage favourites Schweppes (6), Barbican (7) and Pizza Hut (9) continue to strengthen in the region, whilst urban living developments shows their brand resonance with entries for City Walk (4) and its developer Meraas Holdings (10).